.zip archive contains 6 files in .png format featuring 98 sprites (5 Sprite Sheets)+ 1 background. Tight budget for artwork? Boost your development! 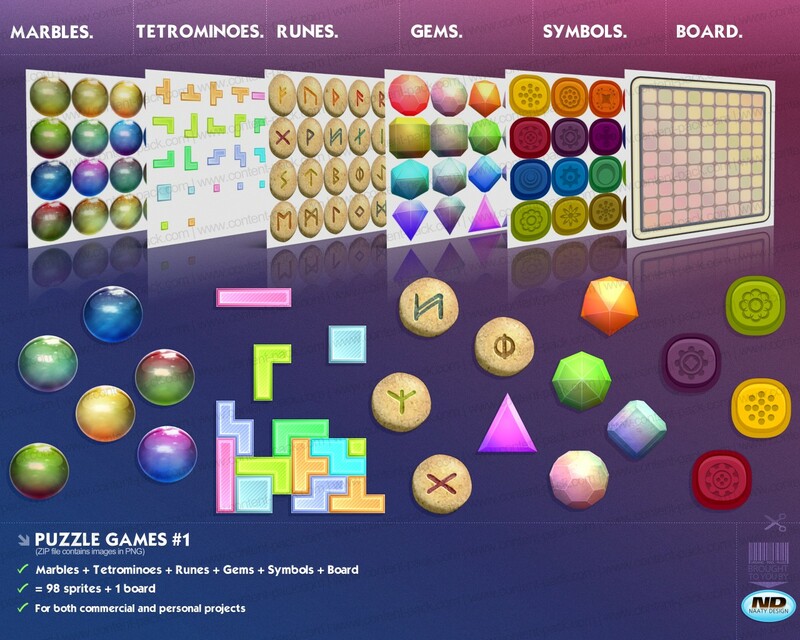 Partager la publication "Puzzlegames volume 1"